In a primary school excursion he was left behind alone. In a junior high school camp he was left behind alone. In a high school field trip he was left behind alone. In the end I became a uni student but so what? This time I was left behind from the entire human race! While everyone left this world I was the only one to protect Earth! A legend will start when the human race returns and a disaster strikes! I read until everyone became dragonkin. After that the OPness got me annoyed and I dropped it. Can’t deny, though, that the novel is well written and the translation is good. So this was great. First novel that I read to it’s end and took about 2 weeks to do. The best reading experience I have had (outside of some minor spelling mistakes) and the story went from start to finish. Real progression that felt worth it. Character development also felt solid. My pet-peve was the lack of description of some places. Recommend to anyone who wants a full experience of awesomeness. Is there a bookmark feature within the site? If there isn’t, there should be. this is the best book i have ever read in my entire life and i have read a lot of books so thank you for making this beautiful masterpiece i hope others soon fallow. Best I have read so far both in terms of story quality and translation. I will say that I am not a fan of the darker side and this almost has a feel good feeling to it but that is what I have been looking for. THANK YOU!!! OMG! I love this novel so much! I usually can’t read novels that only give about 1 or 3 chapters a week, but for this novel I am willing!!! Also because the chapters are pretty long and substantial as well! If only there were about 700 chapters or more of this manga, I would frickin’ BINGE read this manga! Read it and you will never regret your life decisions(concerning this novel of course…I don’t know about your other life decisions). READ it and you will be BLESSED!!! Characters and storyline are off the hook! Love it so MUCH!!!! This is definitely one of the best written and translated novels that I’ve read. It is exciting and creative, and never lacks for action. My only complaint is that there are not enough chapters lol, this is such a good series that I could read an infinite number of chapters. I hope this series doesn’t end any time soon. Why hasn’t the next chapter updated yet? Its been so long! Maan this is my favorite novel, just sad that i cant binge read 300 chapters, but then I would never sleep. Godly Thief is pretty amazing as well. I need something else to read:(. Just Amazing. Are There Other Novels Similar To This One? 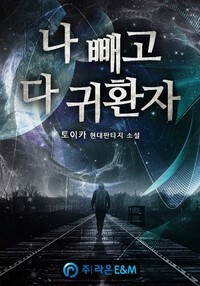 One of the better novels made and translated on this site so far. I started reading this since last week and I have to say that I am hooked on it now. there is an interesting story line coupled with an known theme with a twist. Currently on chapter 20, and I would like to just pause in my reading and say that this is probably one of the better written light novels I’ve read thus far. Not only was it written well, but it was translated well. I definitely recommend it.